Nectar & Root can create arbors with foliage and blooms, chair bouquets to elevate your ceremony location and to frame the moment when your vows are shared. We love to create dreamy arbors laden with foliage and blooms, or simple chair bouquets to help elevate your ceremony location and to visually frame the moment when your vows are shared. This is the main event of your day -- let's make it romantic and stunning! 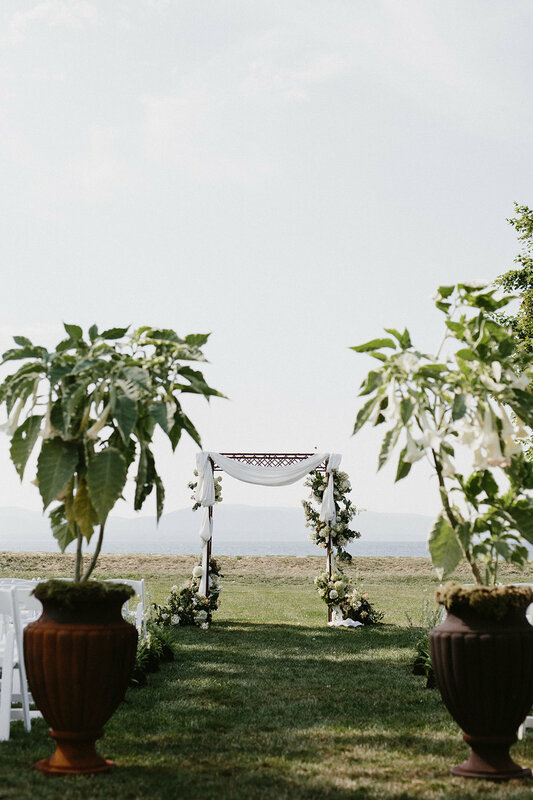 Nectar & Root has several wrought iron arbor rentals available to choose from, and we are also happy to decorate arbors or chuppahs that may already be available on-site at your particular venue. Large-scale arrangements, aisle petals, chair flowers, romantic candelabras, and unique installations are all additional ways that we can frame this important part of your wedding.